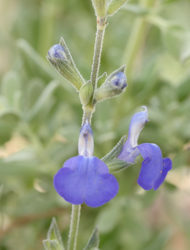 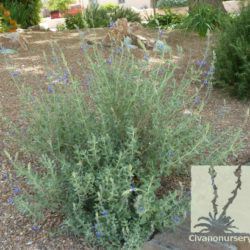 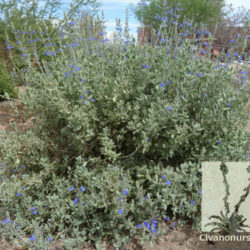 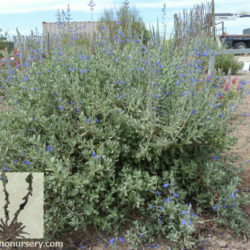 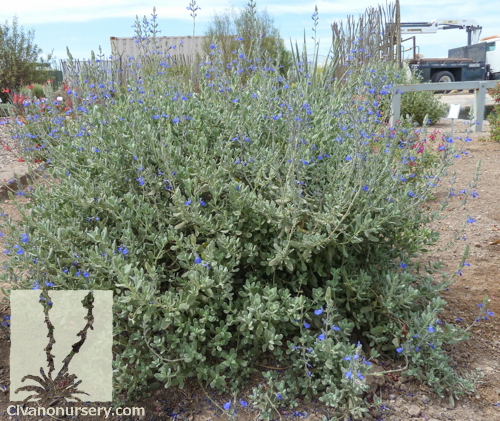 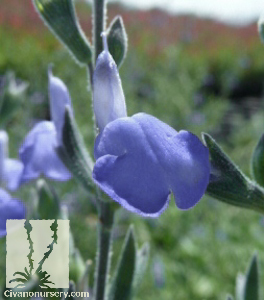 This petite, mounding sage has an electric blue flower highlighted by bright, silvery foliage for most of the year when temperatures are warm. 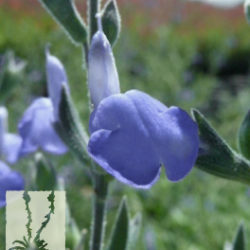 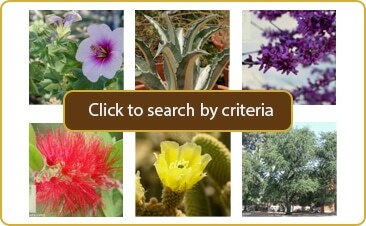 The small trumpet shaped blossoms are adored by both hummingbirds and butterflies. 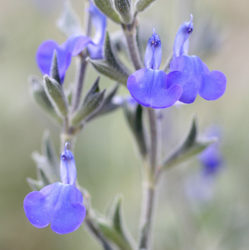 Though it may appear delicate, given amply draining soil and a generous amount of sun, it is remarkably tough and even thrives off a little bit of neglect. 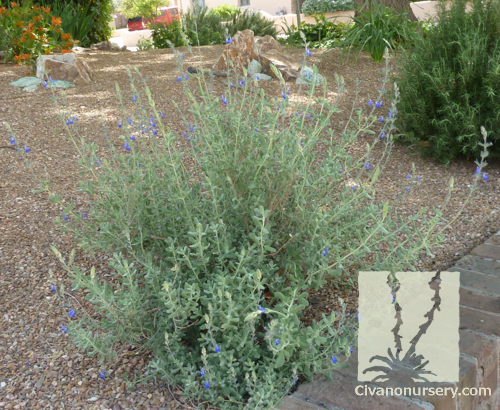 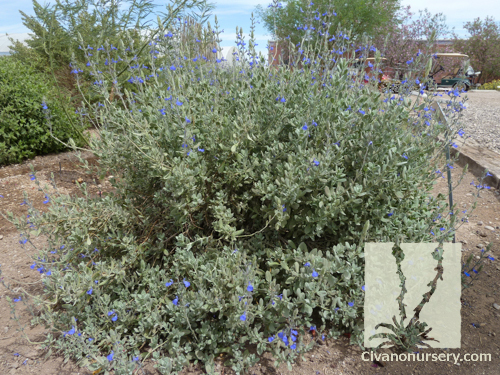 Blue Chihuahuan Sage, with little effort, can soften the look of a rock garden, or simply add a different texture alongside other rock garden selections such as ornamental grasses, ice plant, or cacti.